Terry has been a long time writer and contributor for AxelAddict. He is a middle school technology teacher and boys basketball coach. Recently, I decided that my family needed to have another hobby or thing that we could do together. Most of my family activities (for my wife and two kids) center around either sports or dance. My son is in high school now and plays football, basketball (including travel AAU ball) and is on the track team. My daughter, who will be in junior high next school year, has long taken dance lessons and is now on the competition dance team at her studio. All of these activities are great for my kids, and I love to see them compete and do their things, but I began to get worried about the lack of opportunities, outside of sports, for family fun. I considered the purchase of a boat. (I had boats as a kid growing up when my family had a camp along a lovely area of Louisiana known as False River in the area along New Roads, Louisiana.) Boats are fun, but I also remembered how many problems they can cause (with so many repairs). 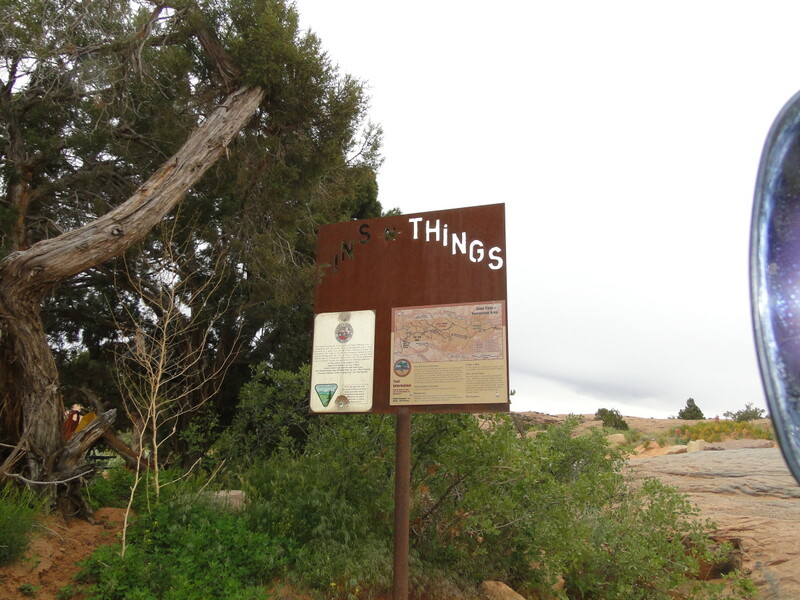 You may be familiar with the joke, "what does a boat stand for? Break out another thousand." Indeed, remember when I was a kid our boats were always in need of some sort of costly repair, or a new part. Because of the potential added costs, I decided that I would not purchase a boat. 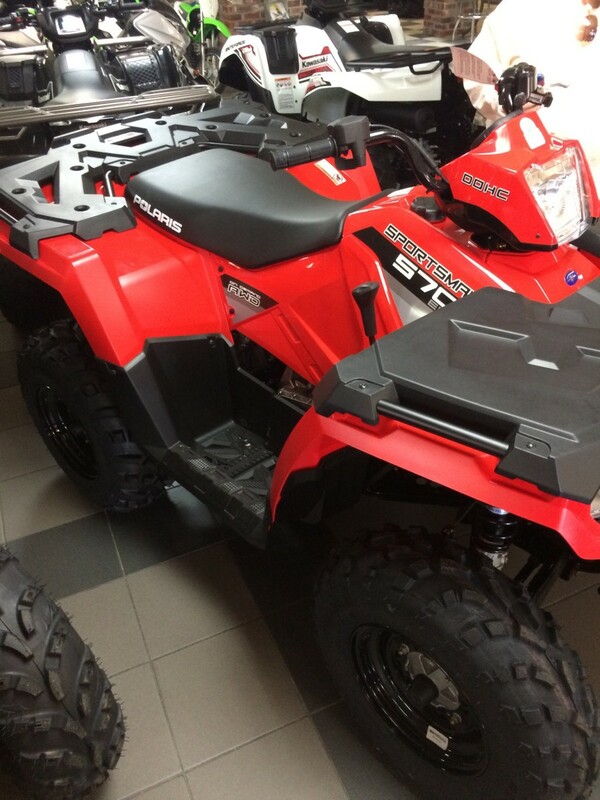 This Polaris Sportsman was one the the ATV's that I considered purchasing. This particular dealer had a bad reputation so I decided against purchasing from them. 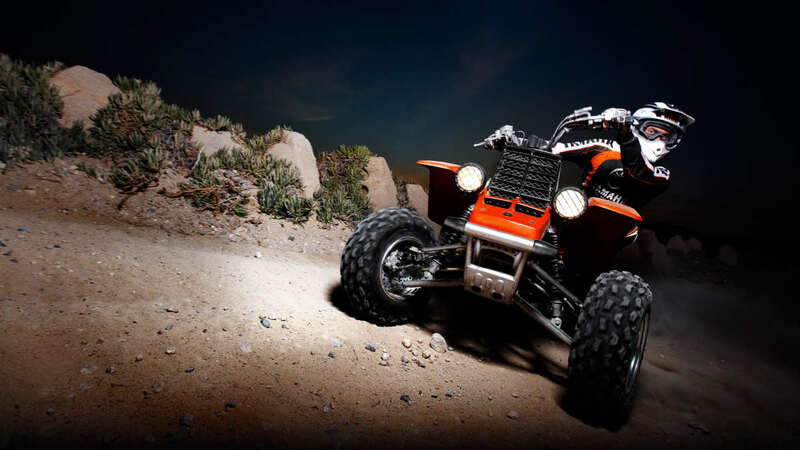 Which ATV Four Wheeler Should You Buy? I decided that I would purchase two four wheelers. I would get one for myself and one for my son. 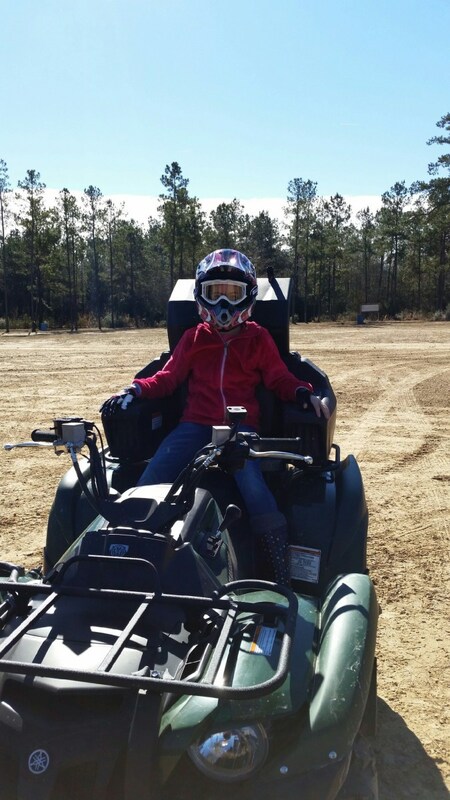 I also figured that my wife and daughter could ride on the back of the four wheelers and be able to participate in the fun as they wanted. I had no idea what type of four wheelers to buy. I thought for a while that I would get Polaris. 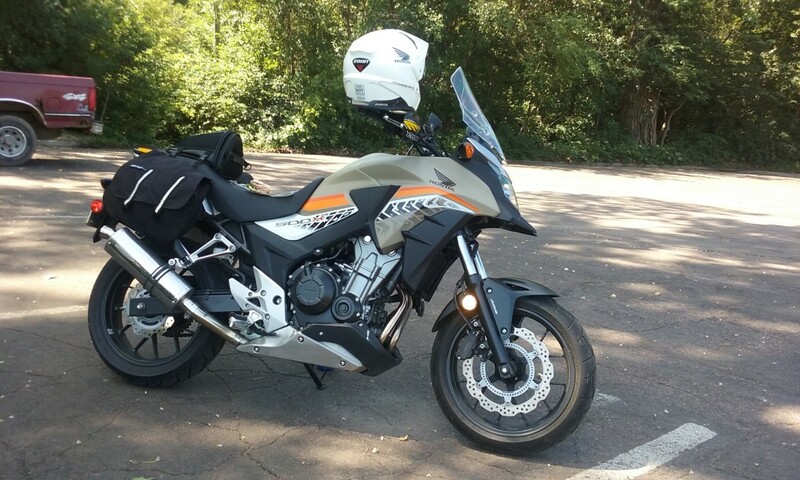 Then I ended up at a local Honda dealer that also sold Yamaha. 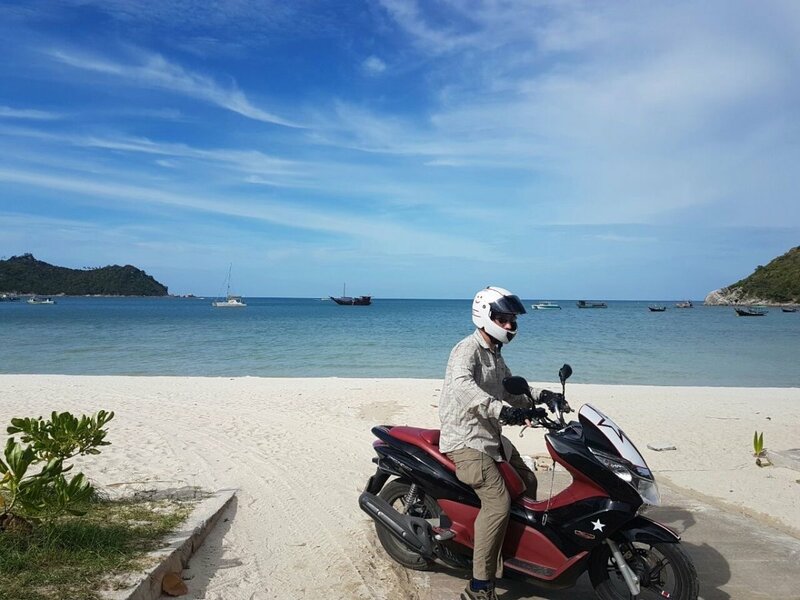 The sales manager explained to me that our area is very brand loyal to Honda but based on what he has seen at his repair shop, the Yamaha brand was built better and lasted longer. I had no reason to doubt him and purchased a pair of Yamaha Grizzly 550's. Mine is green and the one for my son is red. I also purchased for my machine an after-market seat for the rear of the machine that my daughter could sit on and also has plenty of storage space on it to carry things like cell phones and even a Tupperware container in it with sandwiches for a lunch break out on the trail. Here I load my son's red Yamaha 550 onto the small trailer that I already owned. The second four wheeler would be ready about a week later. I had to get a bigger trailer that would be able to transport two decent sized four wheelers. 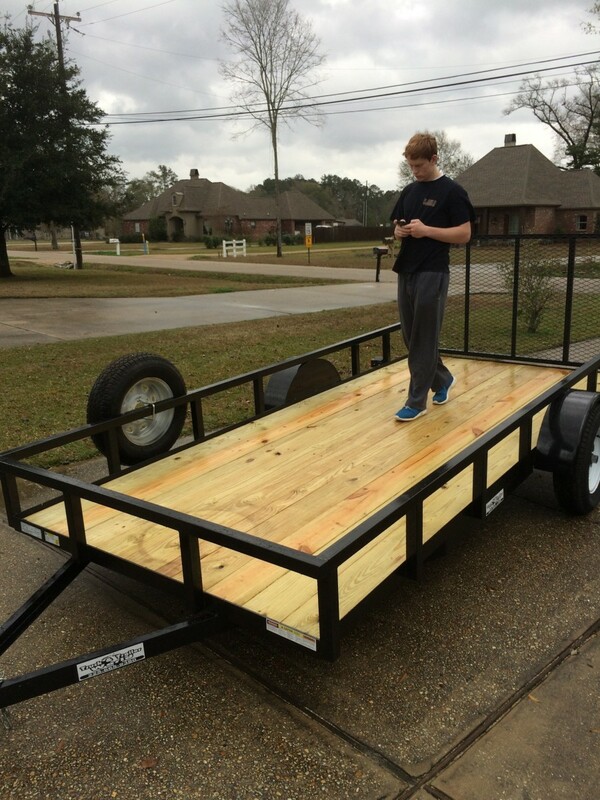 I talked to my friend about his ideas and I went with another six foot wide trailer that was about $1500 dollars. It was available for purchase not to far from my house at a dealer in my local city. One thing I noticed about this trailer that it is considerably heavier than my old trailer and not easily moved around my yard like the old one. It takes both me and my son to move it around the yard to get it where we need to go. I later bought a trailer hitch ball for the red four wheeler to help move it around the yard but I busted the taillight accidentally when the trailer nudged up against it when towing it as I tried to turn sharply. I plan on getting a trailer extension thing my friend told me about to prevent that from happening in the future. Here my son checks out the new trailer and of course his cell phone. After we had both the red and green four wheelers along with the new and bigger utility trailer, we were ready to take the family out on a ride. We went with my good friend and his lady friend. He actually has what I have been told is called a "side by side". 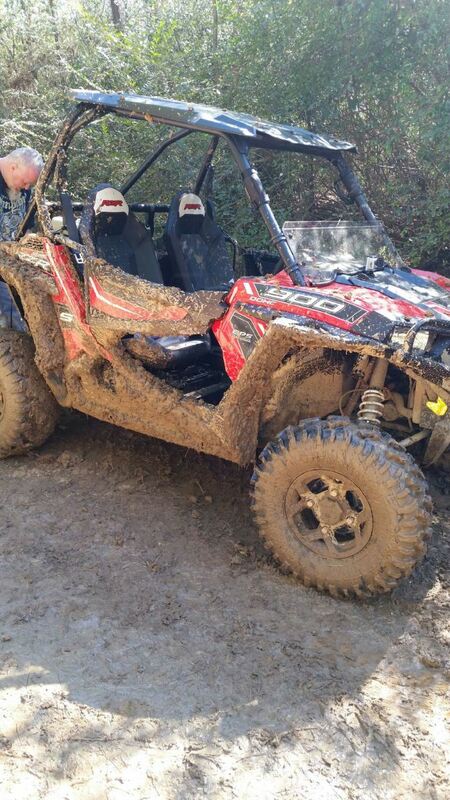 It's sort of like an old dune buggy or maybe more like a bigger version of a go kart for trail and mud riding. The Polaris 900. 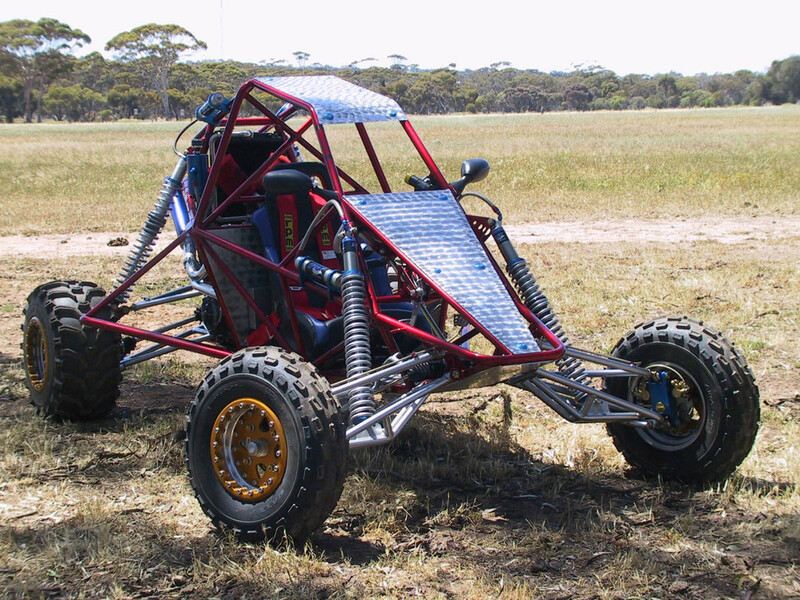 This ATV is a cross between a four wheeler and the old fashioned dune buggy. We made our way up to Tower Trax ready for a big day. Tower Trax makes all new customers complete a waiver of liability that they actually file at their local courthouse. The threat of injury or worse is all too real unfortunately. 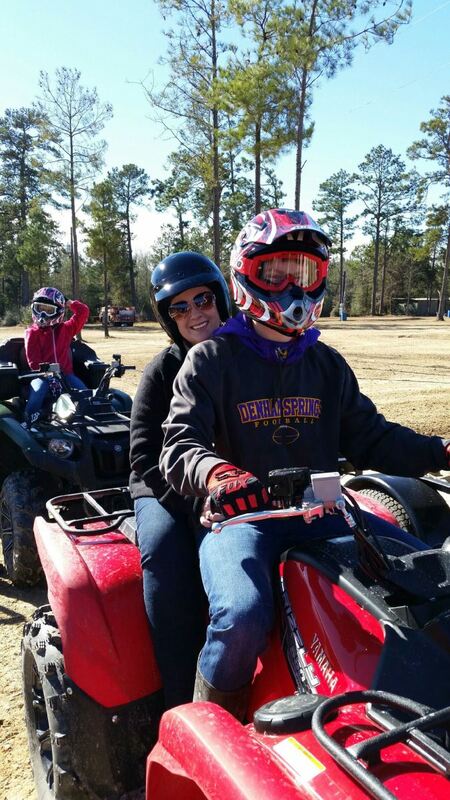 Tower Trax also charges $10 per person and $10 per bike/ ATV. The cost for my family of four was $60. This was not unreasonable I thought and when I realized how enormous this park was and how great of a riding place it was. I thought the money was well worth it. Also, they give you a card that is scanned each time you visit and your seventh visit is free. My daughter all geared up and ready to ride. 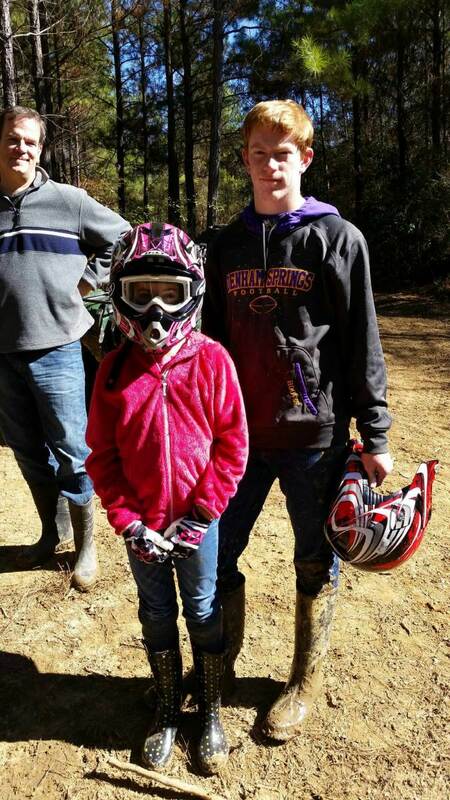 My son and daughter ready to hit the trails. We hit the trails shortly after we got to Tower Trax. My daughter rode on the back seat addition with me and my wife road with my son. We were rolling along quite well and really having a good time. We had to stop a few times along the way About 1/3 of the way into our trail ride we came to an area that had several water holes that had been dug into the dirt by the numerous riders that had driven through the trail before us. The holes were scattered about and the drivers are left with the decision as to which route would be the best to take. We wanted to avoid deep holes as our ATV's were not equipped with the snorkel gear which many riders choose to outfit their ATV with. The snorkel protects the ATV from getting damaging water into the engine which will cause it to "swamp out" and be rendered inoperable. Anyway, my daughter and I chose to veer to the right in this particular muddy stretch in order to avoid these menacing water holes. My son asked my wife which way he should go. She said to just go and he chose to go to the left and ended up dragging on the bottom and getting caught and stuck. Well, after he got stuck, my friend with the side by side buggy turned in front of them with his Go Pro camera turned on and got out to help pull the ATV out of the stuck spot. You can see this all take place on the YouTube video that I edited and posted using the video from my friend's Go Pro. Well something funny happened that I don't want to give away by writing here about it. Take a moment to watch the YouTube video embedded below to see what happened when my son and wife got stuck. Did you think that incident in the above YouTube video was funny? No, I felt sorry for the lady in the video. I was quite surprised at how strenuous the riding would be. My friend pointed out the the four wheel drive on my ATV would make the machine more difficult to steer. He was right in the the four wheeler was noticeably easier to handle when it was not in four wheel drive. I only used the four wheel drive after that for areas the looked menacing and that I feared I may get stuck in. We had a really good trip and ride and it was a great family event. My wife was a trooper although she stated that she wasn't too anxious to go back and do it again. My son and I have been several times on our own since then. 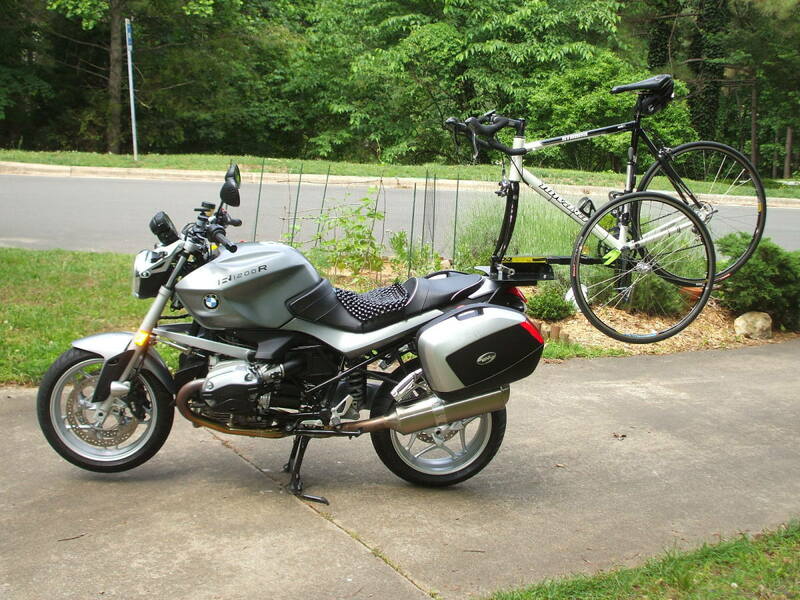 We hope to get plenty of chances to ride this summer. If you think you can afford them and are looking for something fun to do then I suggest that you consider giving ATV four wheeler riding a try. 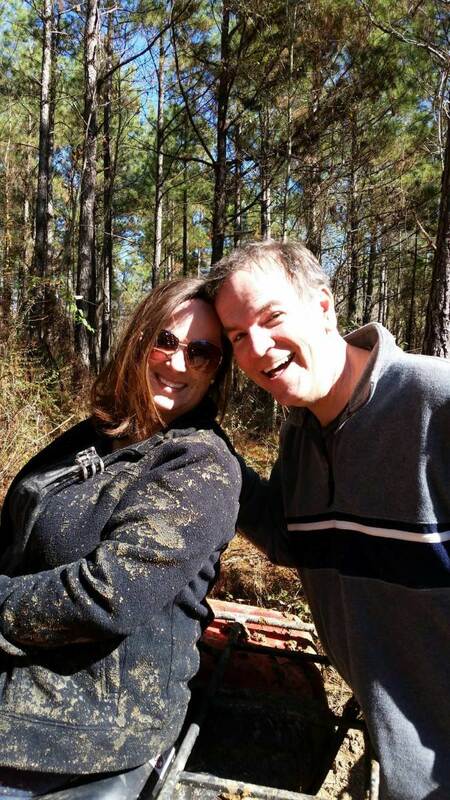 Despite the mud, my wife had a good day. Thanks for taking the time to read. I'm looking forward to riding some more if we can find the time in between all the sports and dance activities. 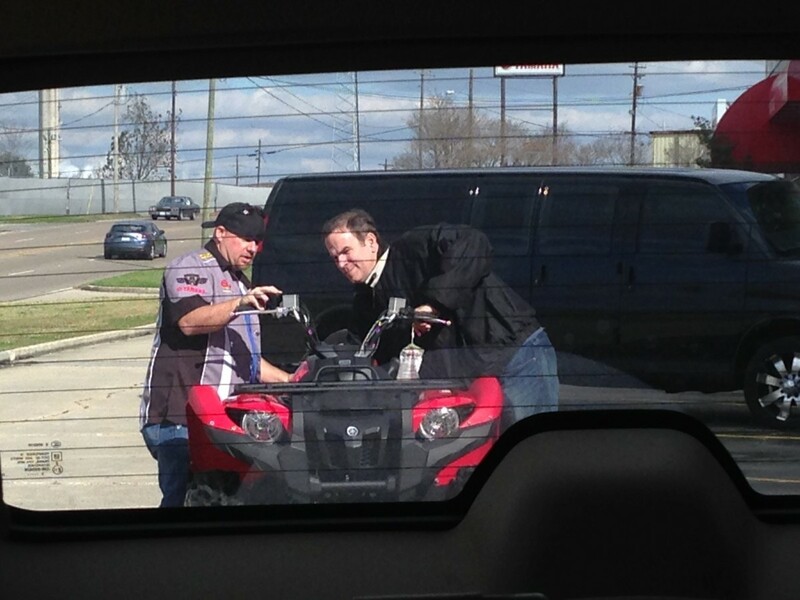 Recreational ATV riding is quite popular here in the south. Have only used quads for working purposes, this is a new idea. It is definitely cheaper than a boat or snowboarding. Loved the video.